‘Going viral’ is something most (if not all) marketers and advertisers strive for. Either with an in-house team or with the help of a digital agency, brands all over the map brainstorm idea after idea to come up with the best and most creative content marketing plan that will get them trending. In other words, they bring viral marketing into play. Viral marketing is exactly what its name implies—a marketing technique that encourages people to share a company’s message, most often through the help of social media, to increase brand awareness and create buzz around the company itself, its products, or services. Think of how a virus spreads; from one person five others get infected, who then infect five each, and so on. 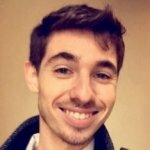 What about the Word-of-Mouth Marketing? From the definition above, you may be inclined to think that viral marketing and word-of-mouth marketing (WOMM) are the same. While these two techniques are indeed similar, each has different implications. On the one hand, WOMM is sort of like an echo that eventually dies away. An example here may be when a brand does something and its audience tell their friends and family, who then may (or may not) tell someone else as well. This is usually seen in brick and mortar establishments when they make their debut, as their most pressing need at this stage is growth, and growth can only be accomplished by increasing their audience. Viral marketing, on the other hand, has a compounding effect that makes it the stronger of the two. In this case, a brand posts something online that, when people see it, pulls on their heartstrings, conjures interesting thoughts, or plain and simple makes them laugh, so they feel inclined to share it so others can be in on it too. This tactic takes place on a MUCH larger scale than WOMM and, because it taps into people’s emotions and spreads messages faster and farther, too. Sharing is a prerequisite for viral marketing. Accordingly, the most important aspect of going viral is creating content people actually want to share. This is what transforms a regular topic into a trending topic, and a regular ad into a viral ad. So, whenever you’re brainstorming and ideating new content ideas, always ask yourself, “Will I want to share this if I come across it online?” If the answer is “no,” it’s time to go back to the drawing board. The Old Spice Man responded with a video saying that while it was an interesting idea that would bring global prosperity, a sequence of (laughable) events would take place, thus leading to global thermonuclear war. 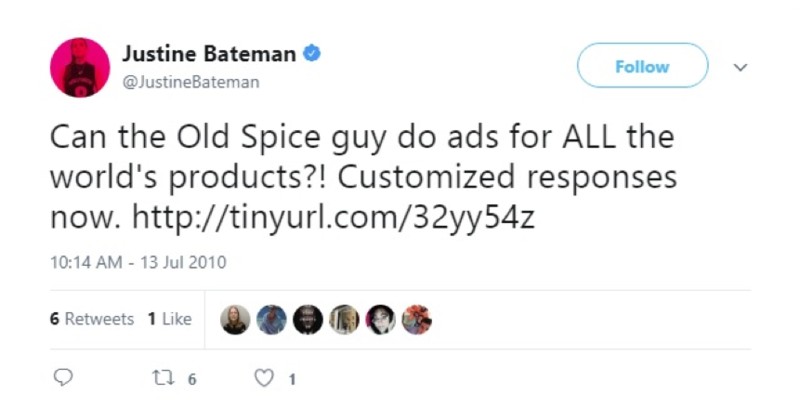 As a whole, the videos created for the campaign proved extremely shareable and led to a massive increase in Twitter followers for Old Spice, tons of shares and YouTube views, and amazing reviews. If your goal is to create content people want to share, you have to make sure you’re crafting content that evokes emotions. A quick disclaimer: as we saw with Old Spice, this doesn’t mean sad content that’s touching—humor works just as well. That being said, people are more likely to share something that makes them feel something, whether positive or negative. If it’s positive, they will want others to feel the same way. If it’s negative, they will likewise want others to share the outrage they felt when encountering whatever content made them feel that way. Looking at another brand who did it right by evoking emotions, Dove’s Real Beauty Sketches campaign proved that going viral is not always about the product. They created a short film featuring an FBI-trained forensic sketch artist who drew two portraits of women based on a description given by them and one given by strangers. The artist himself never saw the women, he only sketched based on descriptions, and none of the women were informed of the true purpose of the experiment. In the end, the portraits were placed side-by-side and displayed disparities between how the women viewed themselves and how others viewed them, with the sketch based on the stranger’s description being more flattering and accurate. The overall message of the campaign was to prove that “You are more beautiful than you think,” and served to empower women about how they look. With more than 114 million views in the first month, the video went viral around the globe and turned out to be the most watched Internet video of 2013. By attracting users with emotions rather than products, Dove proved to be a relatable brand that encouraged social conversation and cared about their audience’s well-being. Finally, a hallmark of content that evokes emotions and makes people want to share it is that it’s unique and sparks discussion. Apart from asking yourself if you would want to share it yourself, try asking yourself whether it stands out. If your content is just like any other piece or video out there, why would people choose to share it over something else? There’s no point, really, so always keep an eye out for upcoming trends and topics your brand can take a position on. This functions to one, spark a discussion between you and them, and two, encourage a discussion amongst your audience. Remember, the goal is to start a conversation. 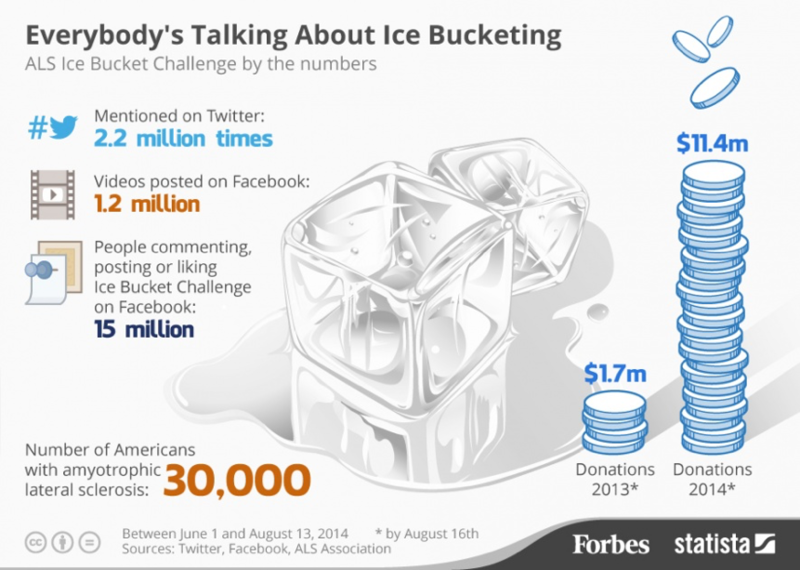 While I’m not going to present a specific brand doing it right, millions of people came together to create the ALS Ice Bucket Challenge, a viral campaign that raised awareness for people with Amyotrophic Lateral Sclerosis (ALS). The challenge was to pour a bucket of ice-cold water over your head and challenge other people to not only do the same but also donate money to the ALS Association. Participants weren’t limited to regular Joes and Janes, celebrities like Bill Gates, Mark Zuckerberg, Rihanna, and more joined as well to get the ball rolling. According to Statista, the campaign was mentioned 2.2 million times on Twitter, amassed over 1.2 million videos on Facebook, and led to $11.4 million dollars donated in 2014 as compared to $1.7 million in 2013, proving that creating awareness and starting a discussion gets the job done. Best of luck crafting the perfect creative content marketing plan that will get you viral!